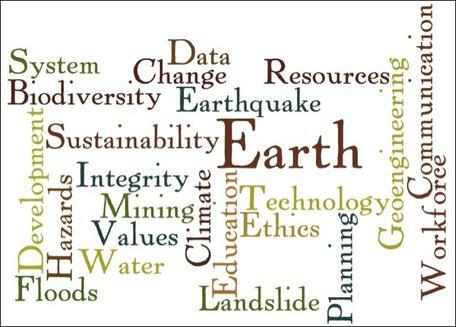 This workshop will explore the many dimensions of ethics education for the geosciences (GeoEthics). A major goal of this workshop is to begin to develop a community of scholars interested in developing a GeoEthics curriculum for use in geoscience courses at all levels. The workshop is designed to bring together innovators and early adopters to: a) survey, aggregate, organize and disseminate the instructional resources that are currently available, b) create a collection of case studies on GeoEthics that can be used in introductory courses, embedded into "core" courses for geoscience majors, or in dedicated courses on GeoEthics, and c) expand the network of colleagues who are interested in including a GeoEthics component in their own course work. The workshop is limited to 35 participants and we encourage those from the geoscience research and education communities, as well as the STEM ethics education community to apply. Workshop activities will include presentations, demonstrations of teaching activities, large and small group discussions, and working group sessions. Instructional materials and other information will be organized and compiled as collections of digital resources and case studies on ethical issues for use across the geoscience curriculum. Tuesday June 10: Travel day to Bozeman MT; shuttle vans to Chico Hot Springs, evening reception,introductory session and networking. Wednesday-Friday June 11-13: Workshop sessions at Chico Hot Springs; departures for Bozeman airport around noon for Friday afternoon or Saturday morning flights. Pre- and/or Post Meeting Field Trips: For participants coming early or staying late to Bozeman, we suggest hikes to popular geologic locations surrounding the MSU campus. A one or two day field trip is tentatively planned to visit Yellowstone National Park. Details will be announced in the future. This workshop is offered in partnership with the On the Cutting Edge program for geoscience faculty professional development and the InTeGrate - Interdisciplinary Teaching of Geosciences for a Sustainable Future program. InTeGrate supports the teaching of geoscience in the context of societal issues both within geoscience courses and across the undergraduate curriculum. The goal is to develop a citizenry and workforce that can address environmental and resource issues facing our society. Collections of instructional resources, case studies, and review of teaching activities will be made available through the On the Cutting Edge program for use by faculty and students across the undergraduate geoscience curriculum.